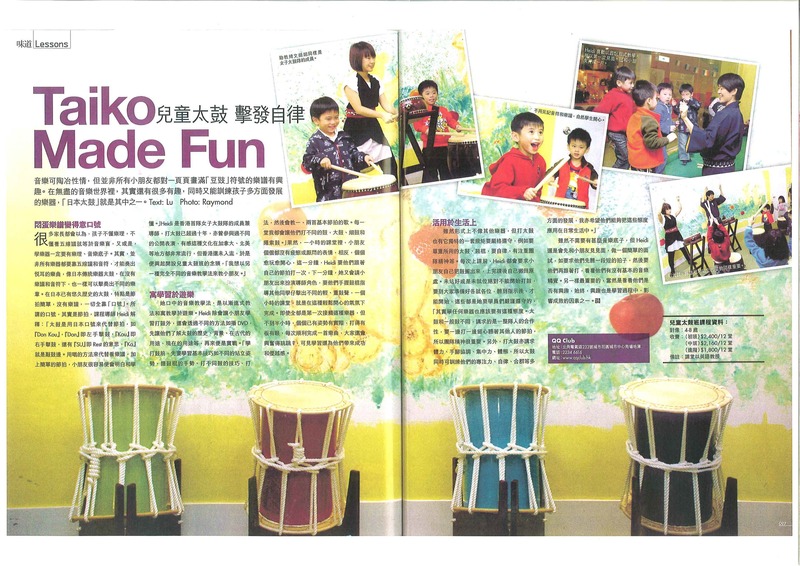 Yeeman and Heidi, teachers of “QQ Taiko” were featured in a Hong Kong live style Magazine, “Lisa Magazine”. “QQ Taiko” were taiko classes for age 5 and above to learn the arts of taiko at the education centre QQ Club. The classes were offered in 2010-2011.